Week commencing July 16th – difficult conditions prevail. Another week with very little to report in terms of catches, although there are signs that things are starting to change. The river flucutated by a few inches throughout the week with some intermittent rain giving small rises however it still never made plus on the camisky gauge. A few more fish were seen in some of the main holding pools indicating that even the small rises may have just been enough to get fish on the move! 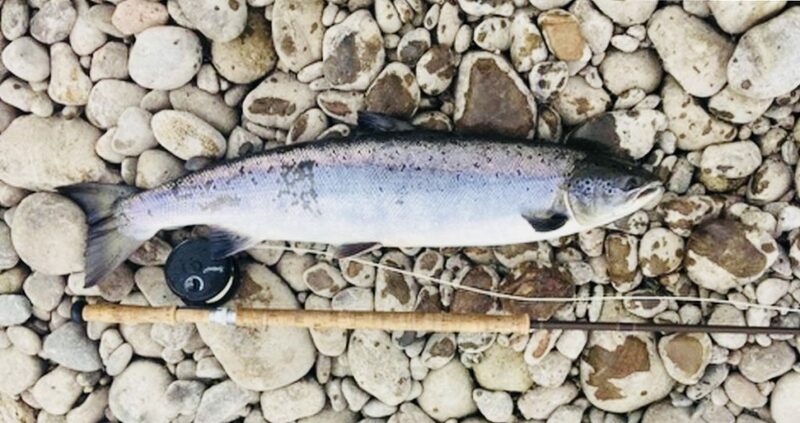 The upstream beats were very lightly fished throughout the week with just a few rods venturing out for a few hours each day……and as such not much action was to be had ! However, as we know in salmon fishing, perserverence sometimes brings reward……and it certainly did for RLA chairman Andrew Shaw. On Saturday morning he managed to land a lovely salmon in the mid teens of lbs from beat 4. The forecast for the next few days looks slightly more promising with rain and clouds featuring more than sun and blue sky! The river does need a proper flush out so let’s hope it comes this coming week! Next postWeek Commencing July 30th – Better Conditions – but where are the Grilse?